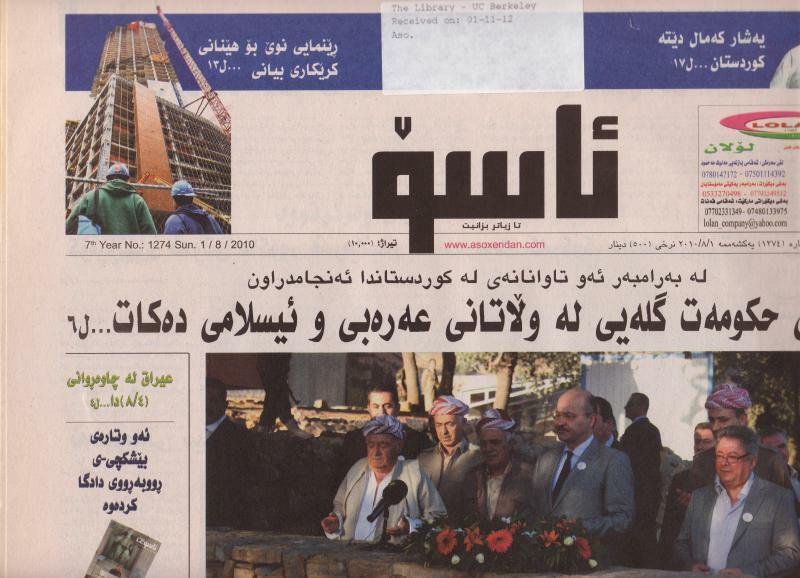 The Middle East Materials Project (MEMP) has microfilmed several years of the Kurdish newspaper Aso. This newspaper is produced by the publishing arm of the Patriotic Union of Kurdistan (PUK) Party. The current President of Iraq, Jalal Talabani, founded the PUK Party in 1975, along with Kosrat Rasul Ali and Nawshirwan Mustafa. Aso is the most widely circulated daily newspaper in the Kurdish region. The holdings for this preservation project were provided by the University of California, Berkeley.